Some of the top 16U and 17U NY2LA Sports Association players put together some of their finer efforts of the past 2 weeks, with their relatively consistent play throughout the 2017 Spring Extravaganza, many times competing and producing in front of a number of college coaches from different level programs across the country. Ethan Schuemer (Mercury Elite) really impressed a few different games this past weekend, Owen Coburn (Martin Brothers) is a big guy to watch with his comfort and effort in the post… Meanwhile, guys like Blake Verbeek (Grand Rapids Storm) with great length and some good talent, showed again what they’re capable of and likely increased their looks they’ll receive as the spring continues and the summer circuit heats up. Baird’s 26-point effort during a game Saturday stands out as one of the finer single game performances of the weekend and he had some other strong outings as well. He hit some tough shots and was assertive enough to take over when he needed to, never shying away from the moment and finding a way to get a bucket whenever the opponent threatened to get within striking distance. Baird hit shots from the perimeter, hit one-footed runners and made some nice moves to the basket as well. Coburn really impressed with his ability to get up and down the floor and get himself into position at the blocks, imposing his 6’10” frame on smaller opponents. He hit short-range shots, and he scored some strong buckets at the rim, on top of owning the defensive glass. His 19 points led his team in a solid win over Kessel Heat Saturday, but he was surely a force in the Martin Brothers’ other games too. Domask knows how to play within his own game and does it well within his team’s game. He has a really good frame to be a matchup problem for most defenders because of his skill-set. Domask can play on the perimeter and knock down shots, which he did at times this weekend; or he can take you to the paint off the bounce and pull-up over smaller defenders, which he did at times this weekend; or he can blow by bigger or slower defenders that try to come out on him on the wings, and get to the rack for the score, which he did at times this weekend. In today’s game, shooting is a premium skill to have and those that can roll three’s off and catch fire can really impact games for their teams. Ellis did just that this weekend, especially in a game on Sunday where he drilled 5 three’s at over 50% from the perimeter, scoring 21 points in the game and really showing up with some great shots. Eagins is a player with a game that’s still developing, particularly in being able to be a threat offensively in several ways. His shooting though is something that’s been really good for awhile, as he can get hot and rattle off three’s in quick order. He was able to use the dribble to attack the middle of defenses better this weekend too though, and it’s going to make him tougher and tougher to defend as he gets consistent with it. He scored 22 points in one game this weekend and is regularly his team’s leading scorer because of that offensive blend. Listau is very consistent overall in what he does on the court, and especially with his effort as he is constantly on the attack or getting after the hustle plays. Defensively, Listau provided great discipline again this weekend with his on-ball pressure and attention to coming over in help when he was supposed to be. On offense, Listau once again showed he can beat teams in different ways, by being able to knock down shots from the perimeter, or get by them when they’re flat footed and score with either a drive to the basket or by pulling up and hitting shots. 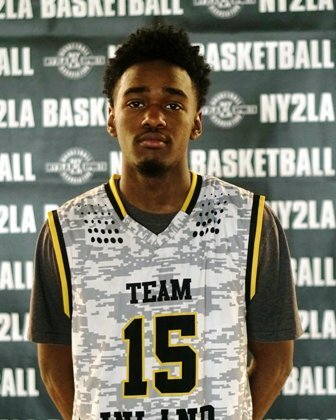 Blair and Seal get a lot of the attention for REACH’s 17U squad, but it was the sneaky quick-footed guard McAdoo who had the big game Sunday, and who really played solid throughout the weekend. He shot the ball pretty well overall, hitting three’s and hitting jumpers, or giving a little hesitation dribble and spin with good balance to score off the bounce driving to the bucket, having a game-high 23 points in their final game doing just those things and being aggressive. Moore is incredibly athletic, and that athleticism was really smooth and gives his developing skills an even better edge to it. He showed up big time in a couple games Saturday by flying around with his speed and quickness around the ball defensively, and then was up the floor in a hurry to finish at the rim with some high-flying finishes that he made look easy for the most part. It’s almost more impressive when a guard can rise up with two hands and drop the ball down into the basket without actually dunking it, which is what Moore did on one such occasion. He also shot the ball pretty well when he had to play in the half-court. 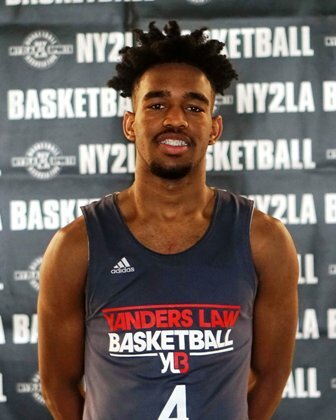 The well-framed 6’6” prospect put together some really good performances Saturday and Sunday with a well-balanced offensive game inside the arc, and just being active defensively in the middle with his length. He blocked a few shots, he rebounded tirelessly, going for a double-double once Saturday, but really taking over games with his consistency and feel for his shots from about 15 feet and in, often getting all the way to the hoop off the dribble for scores or getting fouled and knocking down free throws. White’s first step is a blaze, and he really uses it well to get defenders off balance or pressing to try to get in his path, and then he uses his handles to take them back the other way and leaves that initial ball defender chasing much of the time. When he gets inside, he showed capable again of making plays going around big guys and getting some acrobatic shots to fall, he had a little tear-drop floater working at times this weekend also. Also, when he starts getting in a scoring rhythm he can heat up from the perimeter and knocked down some more big three’s for his team this weekend, particularly in trying to mount a comeback versus Ray Allen Select on Saturday. Basile had a much better weekend on the hardwood recovering from a tough event in Dallas in which he wasn’t at 100% physically. He brought back the energy this weekend that allows him to control the boards much better, particularly in getting some tip-ins and put-back opportunities from the offensive glass. He also finished well when attacking the rim this weekend and nearly averaged a double-double in Minnesota. Bright had a really good weekend overall for Inland, particularly Sunday in using his quickness and his instincts defensively to come away with some steals, or to get out on the break to finish plays. He shot the ball well from the three-point line and also finished at the basket enough times, the two areas helping him lead his team in scoring on Sunday. Henry has some pieces to his game he put on display once again in Minnesota, which with his 6’8” size and his athleticism made him a difficult player to stop. He was explosive in the open court, finishing on the rim with authority, he made good decisions with the ball, and was also a good shot from the three-point line. McCaskill is an energy player with a lot of bounce to him. He timed up offensive rebound tip-ins really well all weekend and played through contact with the ball in his hands inside. He finishes well around the hoop and his mid-range jumper isn’t bad either. 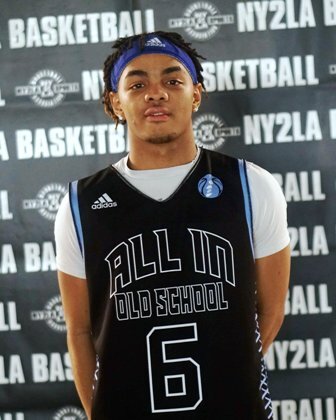 When he runs the floor, he is good coming from the wing or sliding along the baseline as the point guards attack and drop off to him, which he dunked home a couple times off those plays this weekend. McCaskill needs to continue improving his outside shot, but what he does now – attacking the basket relentlessly – he does really well. He has good quickness and spring legs, that when he gets by defenders and draws help defense, he is able to change direction quickly and adjust his body in mid-air to still get the ball past or over longer defenders. He finished well at the hoop when driving again this weekend, and was a regular customer at the free throw line where he shot it pretty well. Peterson showed up this weekend and played some quality basketball, being good with the ball in his hands and breaking down defenses. He showed he could hit the three-ball, but it was really his drive and pull-up game where he seems to hang in the air – but maintain the top of his jump an extra beat – to get good lift on the ball when he shot it and had good touch finding the bottom of the nets a number of times. While more smooth and patient at times with the ball, he showed his power and explosiveness with a big fast break slam early in the game, which seemed to give him some extra confidence and rhythm. Ragsdale shot the ball really well in Texas last weekend, and though he waited a bit to get it flowing in their last game Saturday, he was once again torching the nets with some sharp-shooting. He created his own shot a few times when driving and kissing a little floater off the glass. He had some big three’s in the second half of that game to get his team the lead eventually and then was strong enough with the ball in hands to not turn it over later against pressure, and then finish the game with another bucket for good measure. Ruffin just plays to his frame, to his strength well, using his body to help himself create space when he drove the lane, which helps him either get the finish or absorb and pick up contact, and play a shot through it to get himself to the free throw line. He again showed he also has an improved outside game which make him more difficult to know what he is going to do to you if you’re the defender. Verbeek’s range and skill-set at roughly 6’10” made him tough to defend again this weekend after having a solid tournament in Dallas last weekend. He showcased his shooting ability, cleanly knocking down outside shots, and then also proved he can play inside in traffic despite still being more slender. As he puts on some bulk he can be a real threat from the post, but he uses turn-around jumpers or little baby-hook shots well right now to play through stronger defenders. Walton shot the ball really well a week ago, and continued that trend this weekend in Minnesota. The 6’0” guard (probably more of a shooting guard, but very capable of handling the rock and running the show) didn’t need much room to get shots up and he knocked down several of those tougher shots, seeming to thrive on putting a defender on his heels and then loading up his shot with a pretty quick release and follow through to sink the shots pretty consistently. He is a flat out scorer and was finding the nets got a little hotter most of the team when he got any kind of decent look Sunday.